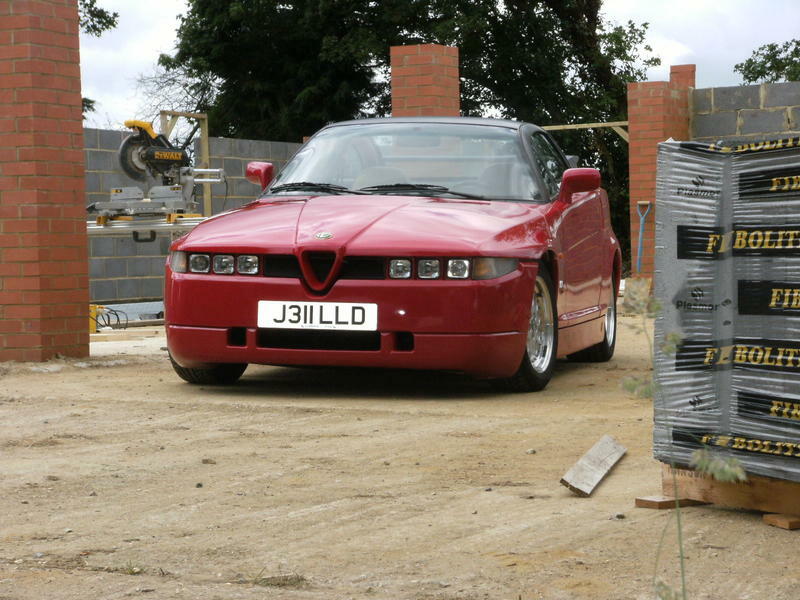 So its the end of the Alfa Romeo UK's owners clubs 50th anniversary year and I have given you in the last few articles my take on my favorite Alfa's of the last five decades. It is not really a fair list because I, like all of us, have my own bias and so the list will be different for everyone. One of the things I most like about the club is the diversity of the members, we are all individuals, we don't follow the crowd, we make up our own minds on what suits us! That applies even within the club and over the years we have had our ups and downs, I have even heard that some people find me rather direct and to the point not that I can believe that ;-) but I hope you have enjoyed my incite into some of the most iconic cars of our time. I have missed out some stunning cars, the Guilietta, what a car, the Duetto, the RZ and many, many others all of which deserve a mention (except the Arna) and now we are down to which car is my absolute favorite. Here I have a problem in that I can’t decide which it is and so I have an equal 1st. 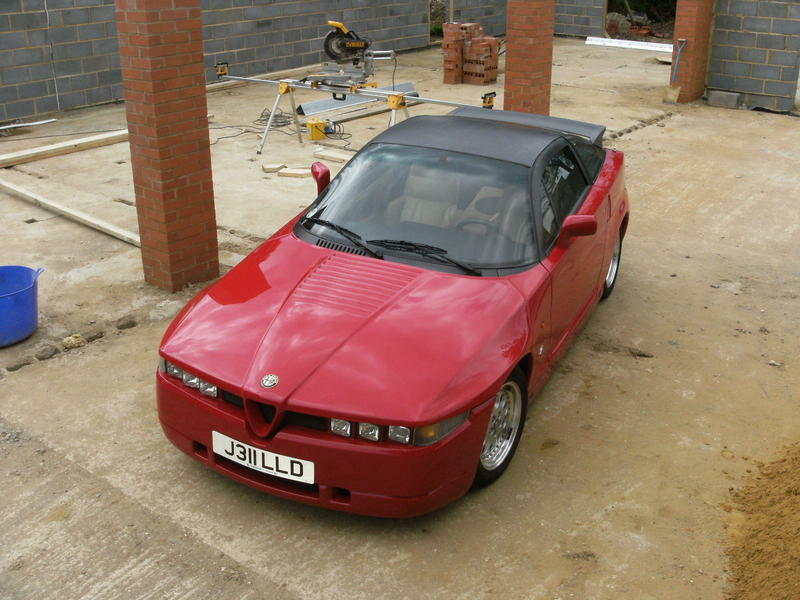 My two favorite Alfa's are the Alfa 4c and the SZ and they are surprisingly different cars in character. The 4c is extremely focused while the SZ is a little mellower, a bit of a weird analogy but the 4c is a bit like a ferret, it’s always busy while the SZ is more like a cat, it can be a ferocious predator or alternatively it can just relax in the sun. The SZ is the Marmite car, you either love or hate the looks. If you were in a car museum and someone said find Il Mostro, the monster, love the looks or hate them you would know instantly that the SZ was Il Mostro, nothing else there would get close, yes there would be ugly cars but no other monster. From the beginning those looks have set it apart from nearly every other car on the road, if an SZ comes up behind you, you will not mistake it for anything else ever, from any angle it is so distinctive it is wonderful. I have driven quite a lot of different SZ's and having done a lot of miles behind the wheel and I find them quite a relaxing car to drive, yes they are firm and direct but they are not intimidating. 10 years or so ago I used to import them from Europe, its a hard job but someone's got to do it, I don’t think there is another car I would rather drive back from Italy or southern Europe than an SZ. I bought one once in Mantova, northern Italy, in February so I decided that I would kill two birds with one stone by combining the trip to collect the SZ with a little break on the slopes at Selva Val Gardina (as I said its a hard job but someone’s got to do it). From memory seven or eight of us in the group and I was due to come back with a fellow speed freak, Steve, while Isobel came back by plane. Well you know what happened next, we did a top gear challenge, however we did it before top gear had invented it!!! So Isobel and the other fifty poor unfortunates were dragged out to the coach at 5 in the morning while Steve and I had a very pleasant cup of tea with the chalet maids (the work only gets harder!) and at around 6.15 we decided to wander out to the car only to find it embedded in a snow drift. This presented Steve and I with a bit of a problem as we could not get it out on our own so we meandered back into the chalet to see if we could persuade the two lovely young ladies to give us a hand, which they obligingly did. Unfortunately Steve and I aren't always the sharpest tools in the book at that hour in the morning and I hopped in the car while Steve opened the passenger window and pushed on the A pillar while the girls pushed on the rear panel, a little bit of throttle, the clutch comes up and two foot wide plumes of snow spray from the rear wheels, oops! Its time for a quick exit, sorry girls! Out of Selva, down quite a steep valley, onto the autobahn over the Brenner pass, its about -10 degrees outside and as clear as a bell. Snow tens of feet thick everywhere, there's a frost on the ground where the snow has been cleared so we take it easy, the SZ loping along at around 80mph, over the Brenner and then we drop down into Austria, down to Innsbruck, turn left and then over the Fern pass into Germany. By now the frost is lifting and we stop for our first tank of fuel, its about 10.00 o'clock in the morning and its time to get a bit of move on so we take it up to 130mph a really nice cruising speed in an SZ. From there its Stuttgart, turn right, head for Koblenz, don’t go to the Nurburgring tempting though it is, haven't got time, keep heading North, more fuel, Cologne, left, Aachen, Brussels, ease off for that blasted ring road, trying to find the right exit, onto the E40, on the way to the coast now, flash of silver in one mirror, red in the other, nail it, too late, all hell breaks loose as a Porsche dives down one side and a Ferrari goes past on the other, 160mph+ no way can I keep up but at least I know there are no Police ahead now so take the speed up to 140-145. Ostend, left, Calais and it’s onto the ferry, straight up to the restaurant for a nice relaxing evening meal with a fine glass of wine. The ferry ramp drops and its welcome to Dover, back to good old Blighty! Up onto the M20, great, into what now feels like an 80 mph traffic jam, could you please move your heap of **** out of the outside lane, yes I know you’re doing 3 mph more than the middle lane and you are going 10 mph over the speed limit but I want to get a proper move on! After 15 minutes they break me I can’t be bothered; no sooner has the SZ scared one idiot out of the way than I catch another. Every time I pass, the driver gives me that holier than thou look, how dare you break the speed limit, while they sit there at 80 mph! It isn’t worth the hassle, ease back a little. The SZ settles into cruise mode, its long legged gait and gentle growl relaxes me, someone moves out of the way, slight pressure on the throttle, use the effortless torque of the big V6 and I’m past them. Next joy of joys, it is the M25 then the Dartford Tunnel, there goes another £1 in tax to use roads that I have already paid to use, great! At last the A10, the road home. It’s around 4.30 we'll be home by 5.15. As I pull onto the drive the front door is open, it turns out Isobel has only been back for half an hour and is still unpacking the car, so much for going by plane! On another occasion I had arranged to go and look at an SZ in Milano and then on the way back another in Koblenz. I had been promised that the one in Milan was perfect, so Iso and I booked onto a Ryan Air flight to Milan Malpaso. However it all starts unraveling the moment we reach Stansted Airport and the plane is delayed by 3 hours (or did we miss it I cant quite remember now) anyway we arrived late and the vendor who has arranged to pick us up at the airport is not at all amused. Eventually we get to see the car and, shall we say it was not quite as described; it has micro blisters everywhere, some the size of a pea, so I succinctly inform the vendor that this is not in any way shape or form a perfect car as described and inform him that he does not have a sale. This leaves me with a slight problem, I am on the back streets of Milan, I don’t know where I am as I only have a road map, the vendor isn't exactly happy, it is approaching midnight and I have £25,000 in cash in my inside pocket; to put it politely, bugger! So Iso and I decide to find the biggest street we can and try to find a taxi, of course when you need a taxi there isn’t one, we ended up walking for half an hour and eventually find a cab. I had booked a really nice hotel in Como, on the shores of the lake so I ask the cab driver to take us there. It’s his lucky night as at this point money is no object; I would have given him a £1,000 just to get us out of there. I seem to remember the taxi ride was about an hour and did I breathe a sigh of relief when I saw our hotel, we checked ourselves in and put the money in the safe and went out in the square in front of the hotel at around one in the morning. There was an ice cream vendor who had the most glorious ice creams I have ever tasted and we were on the shores of one of the most beautiful lakes in the world with the waters gently lapping the shore in late summer, after what we had been through that day the contrast only made it more perfect. The next day the reality of the situation strikes home, we are stuck in Italy with no car and we need to be in Germany. So we wandered down to the train station and ask if we can have a ticket to Koblenz, the ticket officer tells us there is a direct express train that only stops three times departing at midday, you could have knocked me over with a feather. The train journey from Como over into Switzerland is spectacular, at one point you come out of a tunnel and are at least a 1000 feet up a sheer rock face with a further 1000 feet of mountain vertically above you, the track is maybe 20 feet wide and that is it, no protective fences, no safety barriers just a drop, stunning, it is really worth the trip just for that. Arriving in Koblenz my usual supplier Toni has a near perfect SZ and I snap it up, a worthwhile if slightly harrowing trip after all. I don’t have the same stories about the 4C as I have only had it for about six months now, however what a car. As I said in the introduction it is always alive, buzzing, the damn thing is on speed. You have probably all read the reports in the press about it, "not as good as a Cayman" seems to be the cry and I agree that if you want a "Cayman" it is never going to be as good as a "Cayman", but I suspect that you don't need to be the brightest spark in the box to work that one out. I heard one Journalist complain it didn't have power steering and he was a little bit too tired to park it, guess what I knew that before I drove it, its in the specification, he really was just putting words on paper for nothing, thanks for the incite and MAN UP! Then there is the build quality, which is neither good nor bad, so far after 3000 miles it all seems to be pretty well screwed together, no there isn’t leather everywhere like the "Cayman" but where is the carbon fibre chassis Mr Porsche? I mean pressed steel is just so 20th century c'mon get with the program! The "Cayman" is a more practical day to day car, thanks for that, you know what, I suspect that the engineers at Alfa are more than capable of buying a "Cayman" and copying it, if the Chinese haven't already beaten them to it! 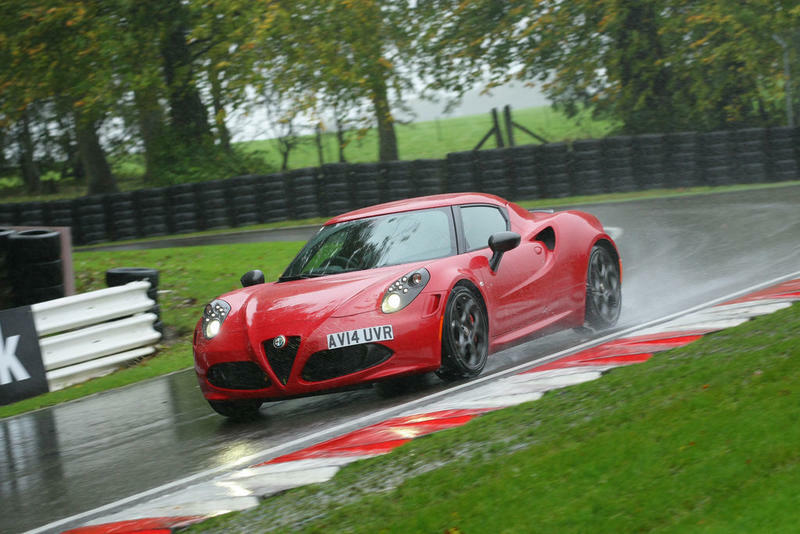 No the 4C is not comparable with a "Cayman" or an Exige the 4C ploughs its own furrow and it is really focused. 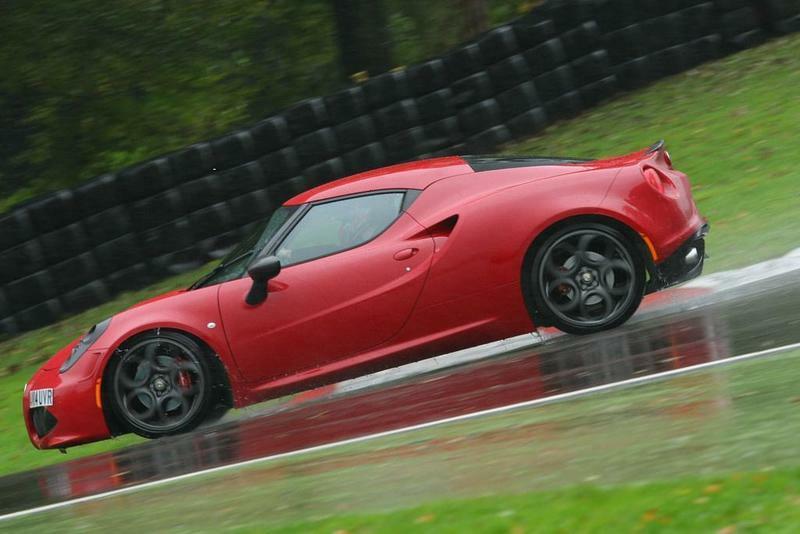 I am going to try to draw an image in your mind of driving a 4C. First as you open the door, in fact as you touch the door handle the window drops from the seal, like a Brera or a GT and the door is heavier than you expect after all the hype about the kerb weight, it is a substantial door, then you look at the seat, it is low, lower than the sill, you are really going to have to get down and into this car, shopping is out, by the time you have got yourself in, a normal car would be down at the shops. Ladies short skirts just went out of fashion, there is no demure way to get in or out of this car, forget it, down and dirty is what this is all about, getting your left leg into the foot well and your bottom onto the seat is relatively easy, however now you have an issue, the right leg is still outside the car, two foot away, if you are my height as you lift it up you have the option of kicking the door card or putting your knee in your mouth, your call. 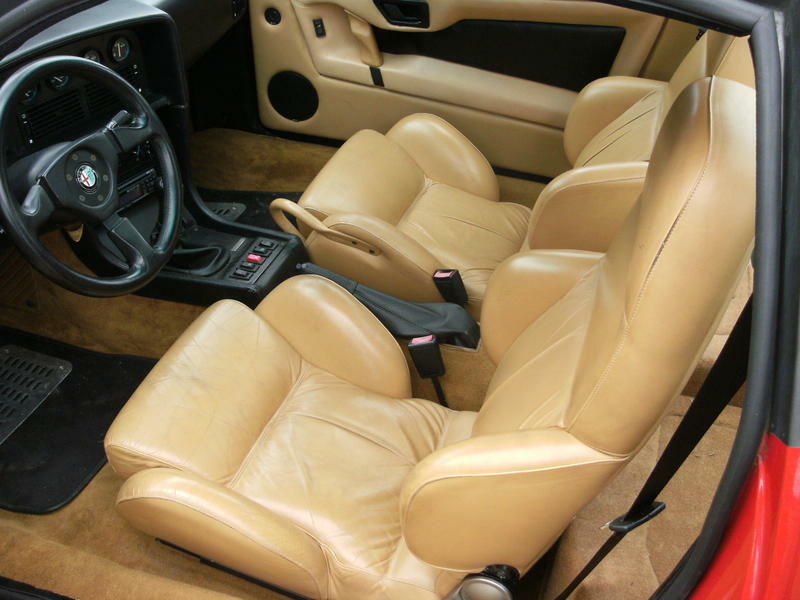 Once in things become altogether more comfortable, the seat is minimal but firm, on UK cars both front seats are easily adjustable for reach and rake although there is not a lot of adjustment backwards and you tend to sit quite upright, so in goes the key the dash illuminates and..... nothing, OK try that again same result, OK one more time, hold the key in the start position and after what seems an age but is probably only a second, once the computers have decided they are all happy the starter motor engages and the engine comes to life. OK I am getting this, now we are at the end of the road and its left onto the A10, OK lets give the throttle a firm prod NOT full throttle, just in case, just a firm prod, violence, the four horsemen of the apocalypse just changed their means of transport, the car steps sideways, I instantly get the 1000 yard stare as I am accelerating extremely hard towards the horizon, the rev counter turns yellow, before I can grab another gear the rev limiter has cut in, OK off the throttle, second gear, then straight into third, let’s re-assess this. The time from the rev counter warning me to change gear by changing color until the rev limiter cuts in is faster than I can get my fingers to the paddles, OK lesson learnt keep your fingers on the paddles! Up into 4th and then 5th, 60-70 mph OK now it is following the lorry ruts and road camber, great! It’s like a bloodhound following the scent, its everywhere. I have two choices, either hold on for grim death or guide it with your fingertips and let it snuffle about, option two seems best as a trip to hospital with broken wrists doesn’t appeal! This car has more than feed back, it shouts at you what it is doing, you could feel it if you ran over a bit of dust, wow, and then there is the noise, or should I say noises, all loud, all mad, wastegates, exhausts, backfires, cams, tappets, turbo, all there in the cabin with you. 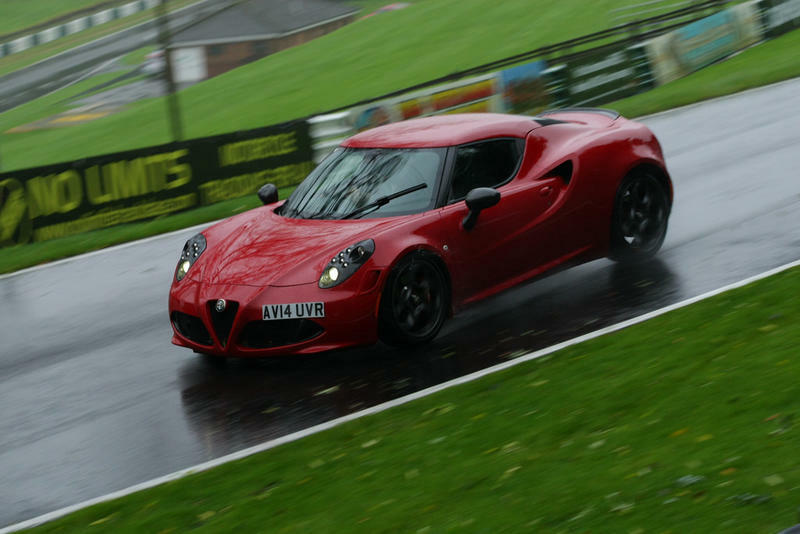 The launch edition Alfa was offered with a “free” track day in Italy in a race school 4c, I wasn't going to turn that down, its here on the track that the 4c really makes sense. The brakes are hugely powerful, sticky tyres on perfect tarmac build the interest and awesome acceleration all add up to a very heady mix. So the first lesson is never let go of the steering wheel unless you physically can't reach it anymore, none of this feed the wheel through your hands rubbish, then its out on the track, next lesson hit the brakes as hard as you can as late as you can and then ease off the brake to lift the front to get a smooth transition to power on before you enter the corner, with the engine buzzing up to its red line there is no turbo lag so power is instant. While you can feel distinct understeer on the road until power builds and the rear suspension sorts itself out and pushes the car into a more neutral poise, on a circuit this doesn’t happen as the car is extremely neutral from the start, even huge amounts of throttle don't upset it, it doesn't snap to oversteer and doesn't it talk to you, wow, wow, wow, wow! I LOVE this car, it’s awesome there is nothing nearer automotive perfection, my palms are sweaty, no problem what do you think the suede section of the wheel is for? That flat section of the steering wheel gives a visual cue as to where the up and down gear shift paddles are, all these things are thought about on the 4c, this is a drivers car not a “Cayman”. Finally after a long day on the track, a trip by fiat 500 back to airport, a two hour flight, it's time to drive back home, tired, now where’s the SZ?